One of the most preventable emergencies seen by avian veterinarians is toxin poisoning through ingestion, inhalation or contact with the skin. Most parrot caregivers are familiar with items such as household plants, alcohol, lead, and zinc and their harmful effects on parrots if ingested. But many people are still unaware of the other dangers lurking in the household, that can be equally - if not fatally - dangerous to parrots. 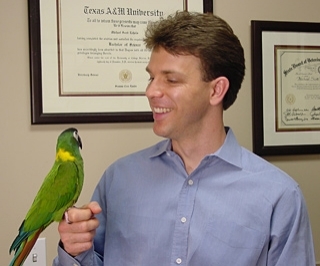 In this podcast, Dr. Echols helps us identify some of the more common household toxins that can be harmful to our companion parrots, the simple measures to take to prevent contact, and what to do if you suspect your parrot has been accidentally poisoned.